'GREAT HEROES' Be The Change! CBLDF salutes the real people who changed the world, from suffragettes to sports legends, creative visionaries to courageous citizens who took a stand. 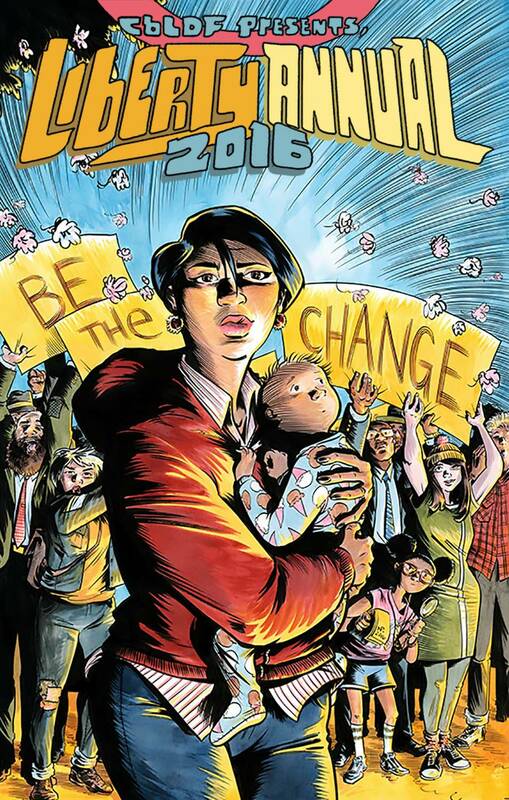 CBLDF LIBERTY ANNUAL 2016 will inspire readers to go out and optimistically build a better world by telling the stories of the people who did just that! All proceeds from this benefit anthology support Comic Book Legal Defense Fund's important work protecting the freedom to read.